Peter Adams The last 20 years in Australia has seen a protracted political debate about the 'best' way to implement a national high-speed broadband network. While much of the 'debate' has been around the technical options or the various political and commercial interests; the merits for, and drivers of, household consumer adoption have often been ignored. Peter's presentation will reflect on his professional and research experiences around the adoption of innovations, with a focus on his recent Technology in Society publication - Household Adoption of Technology: The Case of High-Speed Broadband Adoption in Australia. His presentation will discuss the factors significant in household consumers' adoption of innovations and the differences to organisational adoption. Peter's research identified a new key factor influencing household intention to adopt high-speed broadband, with a surprising counter-intuitive result from his earlier qualitative research. After Peter's presentation ends at 1.30pm, there will be an opportunity for you to network with your industry colleagues over tea and coffee until 2.00pm. 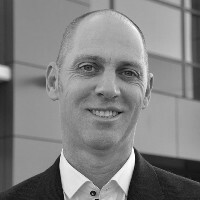 Peter has over 25 years experience using innovation to transform organisations through project initiation and delivery. Peter's competencies lie in the initiation and planning stages of a project: strategic master planning, stakeholder engagement, commercial assurance and partnership development between the private sector and Government. He has managed collaborative projects with all three tiers of government delivering both commercial and community value across industry sectors including: aviation, logistics, agribusiness, property, telecommunications, and education.